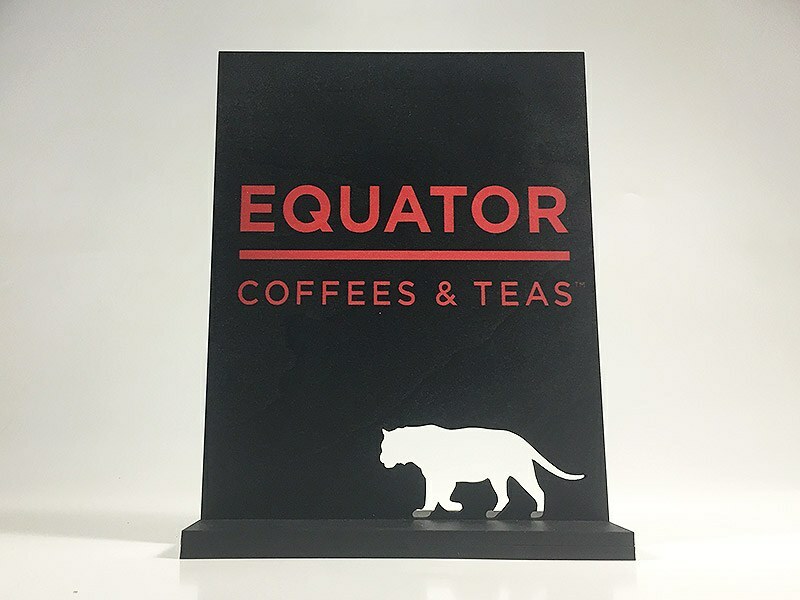 Equator Coffee and Teas - Counter Displays - Pure Black, Inc.
Equator Coffee and Teas needed point of sale displays to increase visibility at some of their retailers. 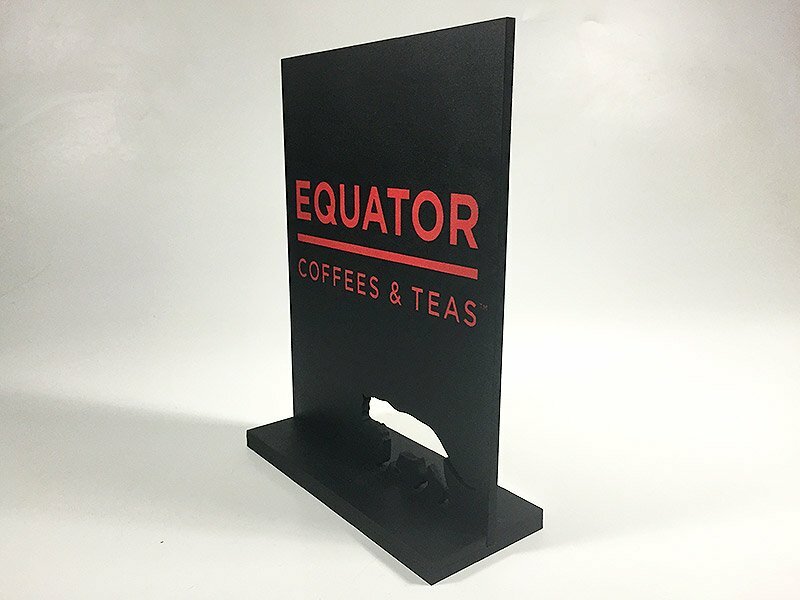 We laser cut some 1/4″ maple ply and UV printed them black and red, along with some channel cut bases for easy setup and take down. Thank you to Social Imprints for connecting this project.